London, ENG, New York, NY and Los Angeles, CA (October 4, 2018) – Roc Nation is to board the eagerly awaited BBC One drama series, Noughts & Crosses (6 x 1 hour) from Producer Mammoth Screen, as Executive Producer. It will curate and release the soundtrack to the enthralling story of first love in a dangerous, adrenalin-filled alternate world, based on the multi-award winning novel series by Malorie Blackman. Participant Media, the leading media company dedicated to producing content that inspires and engages audiences in social change, will also Executive Produce. Noughts & Crosses is written for television by Showrunner Toby Whithouse (Being Human, Doctor Who) who also serves as Executive Producer, with Lydia Adetunji (Riviera), Nathaniel Price (Tin Star) and Rachel De-Lahay (Kiri). The series is directed by Julian Holmes and produced by Johann Knobel (Shameless). Executive Producers are Kibwe Tavares (Jonah), Patrick Reardon for Roc Nation; Participant Media’s Jeff Skoll and Miura Kite; Mammoth Screen’s Preethi Mavahalli and Damien Timmer; and Ben Irving for BBC One. The series currently is in pre-production with casting underway and will be distributed internationally by ITV Studios Global Entertainment. Patrick Reardon, Executive Producer for Roc Nation said, We are thrilled to partner with Mammoth Screen and Participant Media on this series, which explores issues of race and discrimination through such a provocative and unexpected lens." Damien Timmer, Managing Director at Mammoth Screen, part of ITV Studios, added, “It is genuinely thrilling to have the Roc Nation team helping create an individual sound for this unique project." 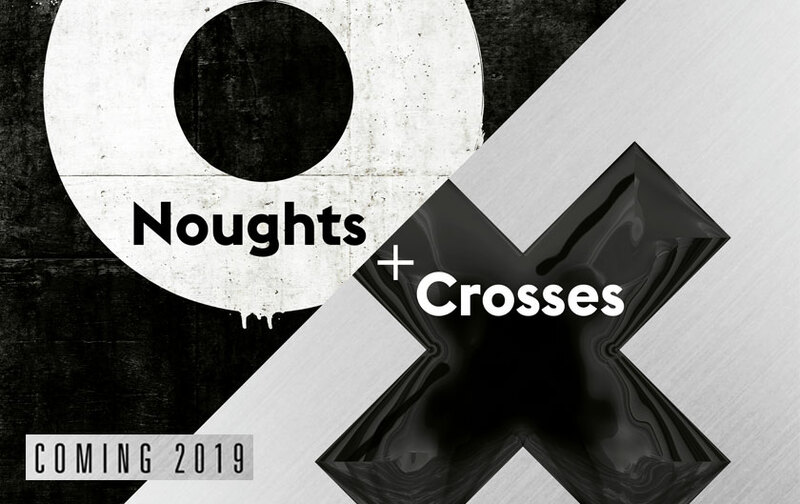 Malorie Blackman, Author of the Noughts & Crosses series, said "I am so thrilled and excited Roc Nation and Participant Media are going to be involved in the Noughts & Crosses series as Executive Producers. They're going to bring an extra dimension to the production that I can’t wait to see - and hear!" Noughts & Crosses follows two young people, Sephy and Callum, who are divided by their colour but united by forbidden love and burning injustice. Sephy is a ‘Cross,’ a member of the black ruling class and daughter of a prominent politician. Callum is a ‘Nought,’ a white member of the underclass who were once slaves to the Crosses. The two have been friends since early childhood but their relationship grows ever more complicated as they come of age. It's the story of two families separated by power and prejudice but forever entwined by fate.